The stock market finally got a meaningful pullback this morning and now stocks are off of their lows. Names in our portfolio like TRN and EMC got a 1-2 percent pullback but are climbing back as we speak. It is almost too late to get in right here. Folks, this just shows how strong the market currently is. Will now wait until the end of the day to add to any other names. Eyeing PETM though…looking to buy that name as well on any pullback. 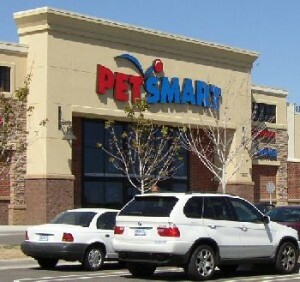 Excellent chart of Petm- Pet’s Mart. A breakout to new 52 week highs on strong volume, healthy consolidation at 70 for three months so it is due, and it’s above all its moving averages. Ripe for a new move higher. Fundamentals mirror below. MATTHEW MORROWCREDIT SUISSE RAISES ESTS, TARGET, KEEPS OUTPERFORM ON PETSMART (PETM)Analyst Gary Balter tells salesforce PETM reported another very strong quarter ($0.71 Q2 EPS was ahead of his, Street’s $0.65 est., aided by 7% comp. growth) showing that execution and merchandising beats macro concerns and Internet fears. Says PETM achieving strong results as it operates in favorable segment with high mix of “needs” type items (consumables), also benefits from selling affordable “wants”. Notes PETM does that with strong merchandising, customer service. Raises $3.25 FY 13 (Jan) EPS est. to $3.33, $3.55 FY 14 to $3.67; $67 price target to $78. M. Morrow.